1. Mix the ingredients for masala paste together in a small bowl and keep aside. 3. Add fenugreek seeds, onions, green chillies, garlic, ginger and curry leaves. 5. 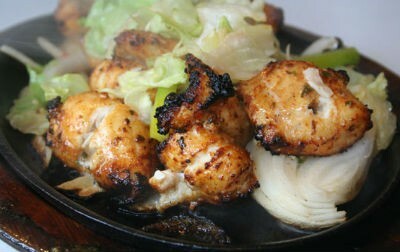 Add the masala paste and fry over low heat for 3 to 4 minutes. 6. Add the malabar tamarind with the liquid and bring to a boil. 7. Add fish and salt. 8. Mix gently and cook till fish is tender and gravy thickens. 9. Add the coconut milk and bring to a boil. 10. Remove and serve hot with rice or puttu. 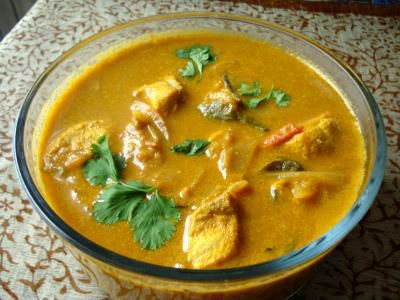 Feel free to comment or share your thoughts on this Fish Curry with Coconut Milk Recipe from Awesome Cuisine.